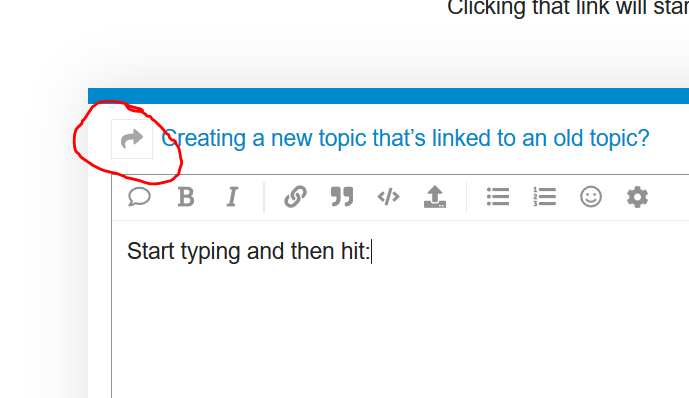 Creating a new topic that's linked to an old topic? What’s the best way to do the above? Our Discourse implementation being relatively new, I’m often finding topics on here which either don’t quite answer my question, haven’t been commented on for a while or are closed. 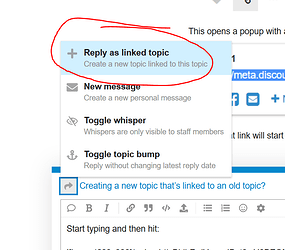 So I want to create a new topic, in the same category (probably) pre-populated with something like “Carrying on the topic discussed in URL”. 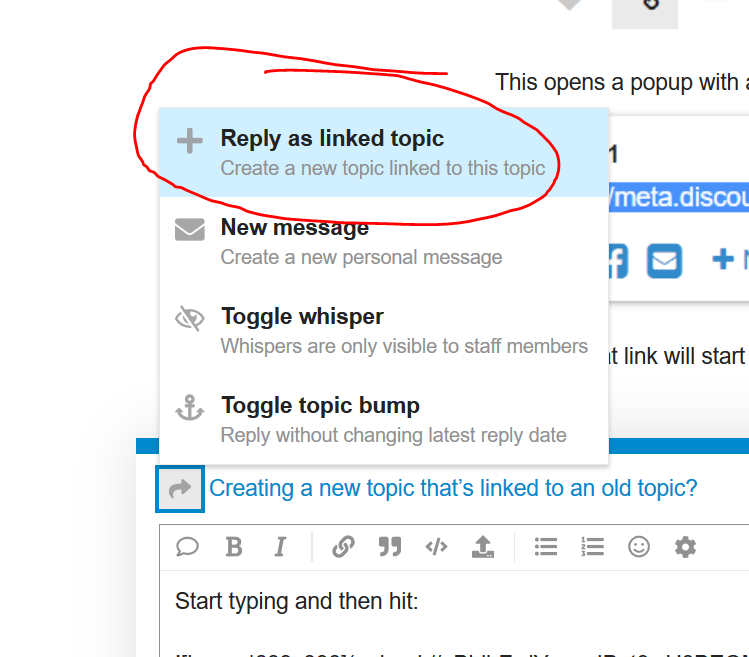 is it instead of the “reply as a linked topic” feature? little bit hidden, isn’t it? Yes, this is this feature’s new place since the timeline now covers its old place.